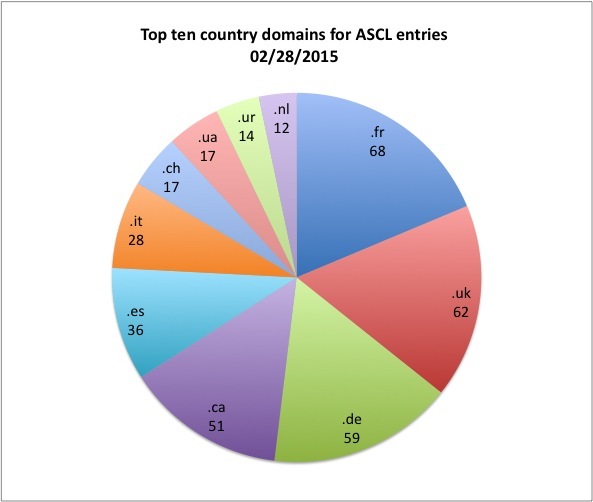 Here’s a quick look at the most common domains from the ASCL site links, with the actual counts included in the data labels. 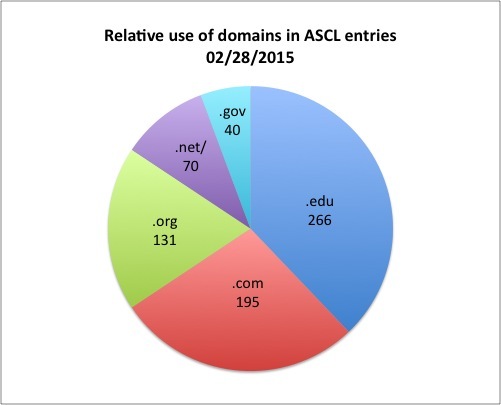 This entry was posted in codes, data play, stats on March 1, 2015 by Alice Allen. Page rendered in 0.833 seconds. Blog powered by WordPress.